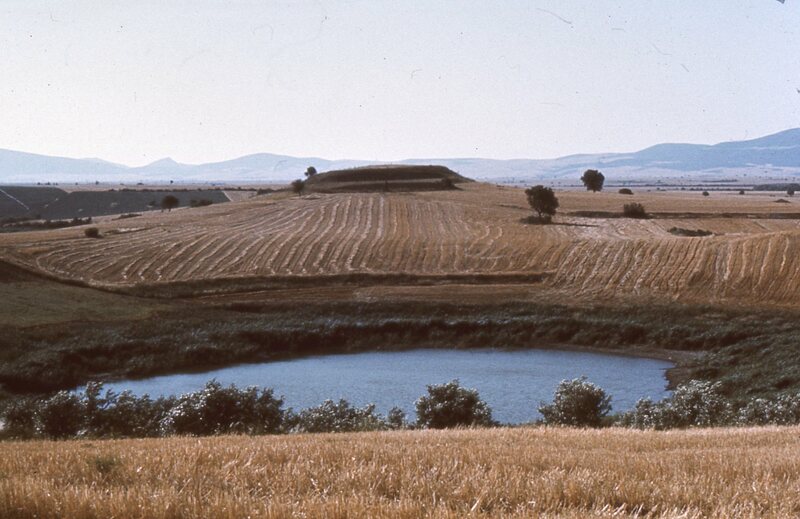 Archaeological surveys in the 1990s revealed four Neolithic sites in the Almirós plain: the Early Neolithic site of Karatsádagli (5800 BC), the Middle Neolithic site of Zerélia and two Middle Neolithic sites in the neighbourhood of Almirós (5800-5400 BC). 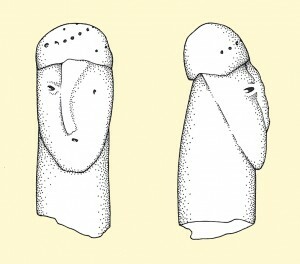 Until now, no sites of the first phases of the Neolithic were found in the Almirós area. Magoúla Zerélia is one of the most impressive prehistoric sites in Greece. 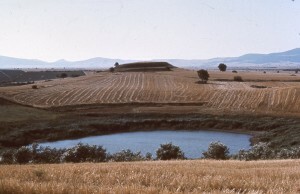 The high mound is visible from a great distance. Two small, round lakes lie south of the magoúla. With exception of a few springs, virtually no natural water sources are available in the southern part of the Almirós plain, so the two Zerélia lakes are remarkable phenomena. The origin of the lakes is still a matter of debate. Magoúla Zerélia was occupied for several millennia, suggesting that people settled here around 6000 BC because of the presence of water. 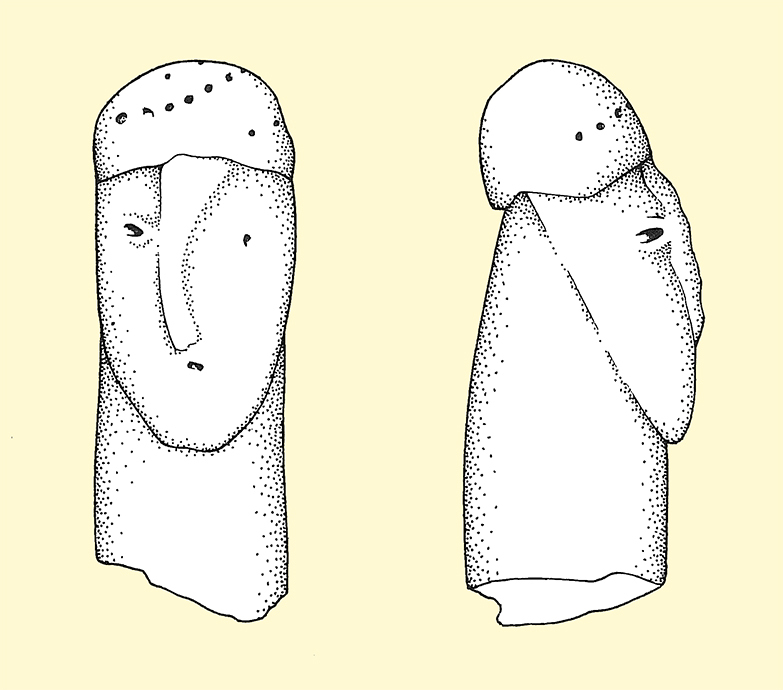 In the Soúrpi plain, a Middle Neolithic site was found in the Kamára area. The site extended over an area of at least 400 x 250 meters and revealed a great number of artefacts: ceramics with a red on white decoration dating to the Middle Neolithic era, grinding stones, stone tools, obsidian implements, bones and mollusc shells. Besides the Kamára site Greek archaeologists excavated two other sites from the Neolithic period along the route of the National road.